Marc and I catch up on all the latest Azure and Office 365 news. We talk about the new Azure Resource Policy as well as the latest changes to the Office 365 interface. We also spend some time chatting about security and the best hardware device to get. THis one’s a little bit random, so enjoy the ride. As always don’t forget to send us you questions and feedback as well as leaving review to help grow our audience. We appreciate you taking the time to listen. Don’t forget to give the show a rating as well as send me anyfeedback or suggestions you may have for the show. Most Aussies and Kiwis will wake up today in a warm bed, surrounded by loved ones. Most will enjoy a holiday where they can kick back and take it easy. However, 101 years ago a group of citizen soldiers from Australia and New Zealand (as well as other nationalities) conducted an amphibious invasion of Turkish soil on the Gallipoli peninsula in an ultimately futile attempt to break the stalemate of defensive warfare on the Western Front during the First World War. It was the first appearance of these ANZAC troops on the world stage and they took it to with the enthusiasm of a new comer. Unfortunately, their greatest advance was on that first day against surprised Turkish troop who quickly rallied, thanks to inspired leadership, and contained the invasion to isolated areas along the coast. Over the next nine months, each side made little headway and the engagement descended into stalemate that only ended with the withdrawal of Allied troops in December 1915. After 4.10am on December 20th 1915 no ANZAC troops remained on Gallipoli, they had however lost over 10,000 killed and 20,000 wounded. Their dogged determination had won the Australian 9 Victoria Crosses, the highest order of valour the military had to offer. But the fighting for the ANZACs wasn’t over. Far from it, they were transferred to meat grinder that was the Western Front were they once again distinguished themselves in engagement after engagement. This gallantry came at significant cost with over 200,000 being causalities by the end of the war. In the 4 years of War approximately 416,809 had joined up and of these 313,814 had embarked for duty overseas. 65% of these were killed or wounded compared to 51% for Britain, 50% for Canada and 59% for New Zealand. 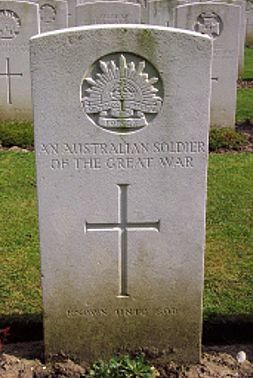 Nearly 40% of all Australian males 18 – 44 voluntarily enlisted. One in five or 63,163 died on active service during the war. The remembrance we have for the anniversary of Gallipoli needs to be seen for what it is, a beginning, not an end. Gallipoli was not the only the sacrifice made by these men (and some women). 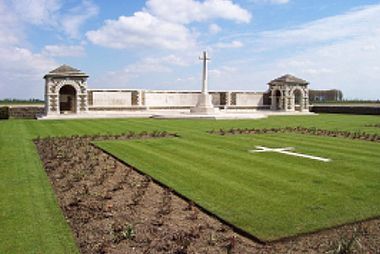 We need to remember the terrible battles of Fromelles were casualties amounted to over 5,500 in one night! 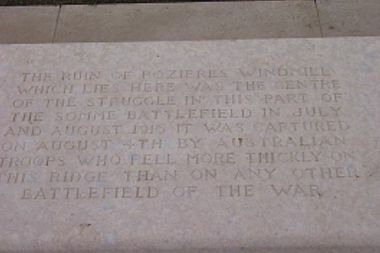 The last Australian attack on Pozières was on 3 September, 1916. The Australian 1st, 2nd and 4th Divisions had been used by their commanders as a battering ram and lost nearly 23,000 officers and men in a mere 6 weeks on a front that extended little more than a mile. This casualty figure represented 50% of the total of all 3 divisions strength. It is hard for us today to fathom such loss, let alone the courage and sacrifice it took to fight for what you believed in and what you were ordered to do. It all took place in a different time and in a world that is very different from what we live in today. However, those incidents, those sacrifices, leave with us a legacy of country men and women who laid down their lives for their belief in our country. What they did, they did so others could have a better tomorrow. Thus, in our enjoyment of a better tomorrow, let us pause and remember them. Let us also remember all those who have served and continue to serve our country. They are volunteers. They elect to do this largely by choice and that’s what makes it so special. If you follow the documentation about connecting Project Madeira to Power BI you might get confused about locating the Web Service Access Key which acts as the password to connect to Power BI. Here’s the process of how to obtain that access key. Navigate to your Project Madeira. Select Actions tab in the top left. This will reveal a ribbon menu. From this ribbon menu select the Company Settings icon. This will open a new dialog. From the ribbon menu now shown select Users. Again, another dialog will open. From the ribbon that now appears, ensure that the primary user is selected from the list and then select Edit. In the body of the page you’ll find a Web Services Access Key area. To generate a new key if one isn’t displayed select the arrow button to the right of the field. Copy that access key and follow the documentation about connecting to Power BI. Also note the entry for User Name in the general area here, as you’ll also need this. When you are asked for the login to the service select Basic as the Authentication Method. Enter the User Name you noted from previous page and then the Web Access Key as the password. Select the Sign in button to complete the connection process. After a few moments of configuration you should be greeted by a new Dashboard connect to Project Madeira as shown above. Interesting announcement from Microsoft about a new cloud product aimed at small top medium businesses – Project Madeira. Project “Madeira” is a business management solution for small and mid-sized organizations that automates and streamlines business processes and helps you manage your business. I haven’t seen much more than this yet. I have signed up using an Office 365 account and seen Project Madeira added to my tenant. But look what that also gives me inside Power BI! A content pack to connect to. It looks like Project Madeira will do every thing from accounts to customer tracking. Seems to be be quite comprehensive. Interesting eh? Looks like a pretty powerful package when you consider all this integration. The only question that is unanswered at this stage is how much is it likely to cost when it goes live? I’ll report more once I have had a good play, but certainly more compelling services from Microsoft that integrates nicely into Office 365.
and here you can see what the new experience looks like. Much cleaner. It will also report that the page is far more ‘mobile responsive’ in that it scales and adjusts to window size much better. which you can now see above. The changes to the UI a excellent, I gotta say. They make things much clearer, less cluttered and have a much ‘nicer’ look and feel. This is going to help users work (and I would suggest adopt) Office 365 more readily, especially when you compare how Office 365 now looks to other cloud based systems. I would also point out that if you are an IT reseller who is only doing administration for your customers using the web portal then I reckon it is only a a matter of time before customers decide they can do this for themselves. Honestly, in my opinion, the web console is aimed at end “power” users not resellers. I would therefore suggest that IT resellers should be doing most of their regular administration via PowerShell for a variety of reasons (the biggest being automation). Although these interface changes can be a little jarring to some not used to the rapid change in the cloud, they definitely improve the service, make it more appealing for existing and new users and best of all, existing Office 365 users get it for free! Unfortunately for me personally it means I got to redo my publications, but hey, everyone needs a hobby right? I hope to see you there on the day. Sometimes when I’m rushing around in Azure creating new virtual machines (VMs) I sometimes neglect to document the user name and password I use for that newly created VM. Thus, when I try and log in I can’t. This will open the Settings blade as shown above. One of the options in the support + troubleshooting section at the top of the blade is Reset password. Selecting this will open the Password reset blade as shown above. Now you can enter a new administrator login and password for the VM so you gain access. This reset password option is only available in the new Azure portal. Now, if you forget the login to the Azure VM you can simply reset it rather than having to rebuild the whole VM. Handy eh?